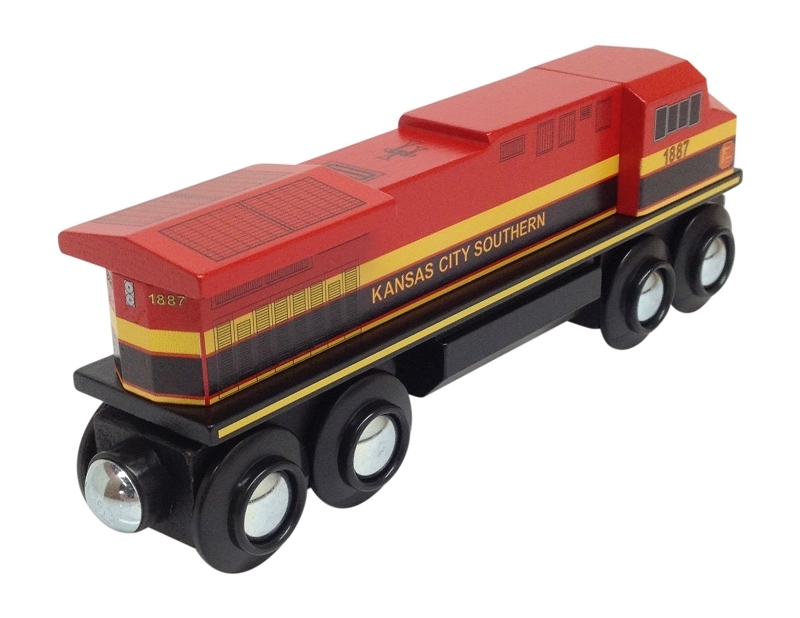 This Kansas City Southern engine has a stunning paint scheme. Not that widely seen on the tracks but plays a vital role in moving all kinds of freight in the central and southern United States, even into Mexico. Nothing like it on the market! Make it part of your wooden railway. Click on the thumbnail pictures to see different views. 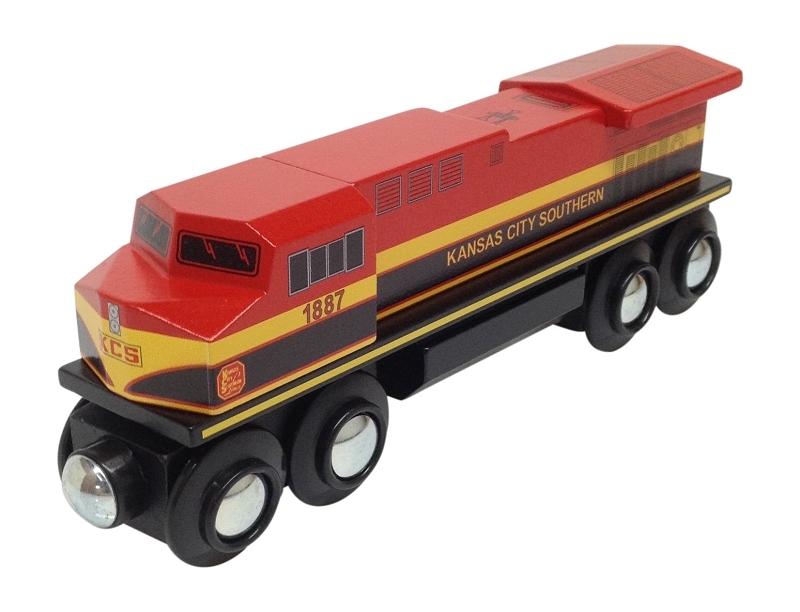 This Kansas City Southern wooden train engine is approximately 5-1/2" long and made of solid Beech hardwood. Handles all sizes of curved track, fits through tunnels and under bridges, even negotiates ascending hills, unlike the competition. Crafted by hand & painted in detail, the quality of this wooden train is of the highest standards.